The experienced professionals at Star Home Remodeling can transform your Frisco, Texas, home to better meet your current needs. 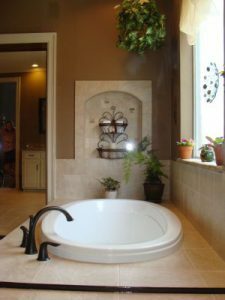 As skilled remodeling contractors, we are able to handle a wide array projects, including full-scale bathroom and kitchen remodels as well as home addition installations. From expanding the square footage of your kitchen to installing spa-like features in your bathroom to building you a custom in-law suite, we can handle the job for you. While there are many remodeling contractors offering their services throughout the Frisco area, you’ll be hard-pressed to find a company that’s as dedicated to its customers as we are. When you partner with us for your home remodel, you can expect to receive top-notch customer service. To begin the process, we’ll meet with you at your home or our showroom for a design consultation. During the meeting, we’ll go over all of the visions you have for your space as well as your budget. We’ll provide you with all of the information you need to select the perfect design services and products for your remodel. We believe that taking the time to educate our clients about all the options available to them, while always being realistic and keeping their budget in mind, is imperative. In fact, we pride ourselves on being no-nonsense remodeling contractors who are honest and upfront about the costs of products and services so there are no surprises down the road. In addition to handling the design and installation processes for you, we are able to custom-curate your preferred products for your home makeover. This can include new floors, cabinets, countertops, walk-in bathtubs, showers, traditional tubs, tile, backsplash, kitchen islands, and so much more. We can even incorporate elements like custom fireplaces, lighting fixtures, and mirrors. If you would like to learn more about why we are the Frisco, TX, area’s go-to remodeling contractors, contact Star Home Remodeling today. We’ll be delighted to answer any questions you have and arrange for a consultation where we can show you some of the award-winning designs we’ve created in the past. Mon-Wed - By appointment only. Sat - By appointment only.